With regular brushing, flossing, and a healthy diet, this should be enough to increase the lifetime of our teeth as they endure the test of time… right? Then, why do so many people have problems with cavities or fractured teeth when it comes to eating certain foods? According to the American Dental Association, it is the bacteria living in the mouth and what we eat that causes so much conflict for people. Normal bacteria from the mouth must burn sugars to stay alive. This byproduct creates acid, which dissolves tooth enamel and weakens the tooth which promotes tooth decay. Foods that are sugary and sticky tend to naturally stay on the teeth longer. This gives bacteria in the mouth a greater chance to wear down the tooth’s natural structure. Hard candies may seem harmless, but the risk of chipping or breaking a tooth is very high. 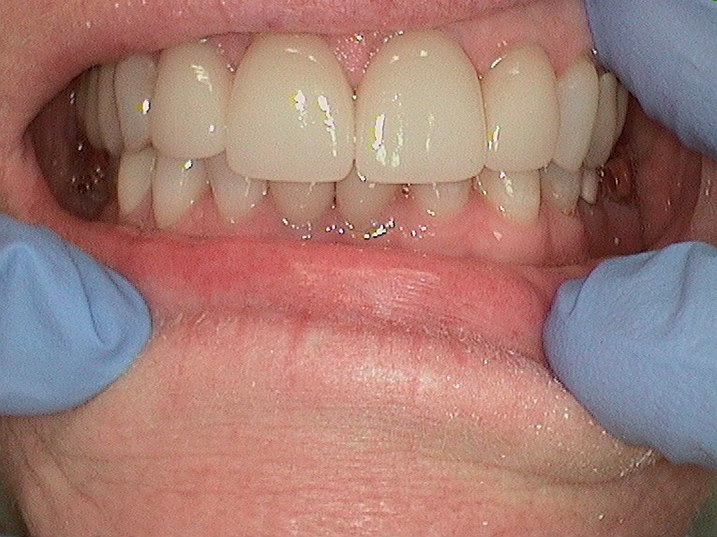 They can create micro-fractures in the tooth structure which leads to larger fillings and eventually a crown. Remember, they’re called jawbreakers for a reason. Sticky candies like caramel and taffy can also fall into this group as they tend to set into the small cracks and crevices of your teeth as they allow the bacteria to feast leisurely on the sugars. And don’t forget to add ice to this category. Who doesn’t like to chew on ice once in a while? Well, the truth is that ice is hard and cold at the same time… two of the things that aren’t very friendly to your teeth! There is a lot of sugar and acids found in carbonated soft drinks, energy drinks, and sports drinks. Some of the ingredients that are found in these contain phosphoric and citric acid. Every time you take a sip, you are literally bathing your teeth in acid, continually lowering the pH in your mouth, and allowing more time for bacteria to feast on sugars. Coffee, tea, alcohols, and wine contain high tannin levels that promotes staining and erosion of the dental enamel and will dry out your mouth. Watch out for these deceiving little beverages and reach for a bottle of water when you need a drink. Over time, the enamel can be etched off of a tooth due to the pH level in citrus. When the enamel is lessened, you can experience yellowing of the teeth and sensitivity. The highest levels of acidic fruits are lemons and grapefruit. The list can go on and on about which starchy carbohydrates are not good for your teeth. White bread, saltine crackers, and potato chips top the list on what to watch for. Also stay away from processed carbohydrates. These types of foods can easily get trapped in the micro cracks of your teeth, create plaque and tartar along the gum line, and instigate dental caries. Now that you know what foods can trigger cavities, it’s probably time for you to make an appointment and have your dentist check your teeth and gums. A check-up takes no time at all as your dental professional will check the overall health of your mouth. Ongoing research has proven that if you keep your diet well balanced with fruits, vegetables, legumes and nuts, these foods and their nutritional value will build strong teeth. Healthy foods are packed with antioxidants and other nutrients that strengthen your body’s ability to fight bacteria and inflammation in your mouth. 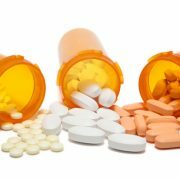 The AAOS Board of Directors and the American Dental Association published reports linking evidence that dental patients with prosthetic joints or cardiac problems should pre-medicate with antibiotics prior to dental procedures to reduce the risk of infection. These guidelines were to include procedures such as routine dental cleanings, scaling and root planing, crowns, root canals, dental extractions, and implants. A panel of experts from the American Dental Association along with the American Academy of Orthopaedic Surgeons and American Heart Association published their reviews and guidelines of preventing infection for these types of patients when having dental procedures. Their comprehensive research defined criteria that dental procedures were indeed risk factors for hip and knee implant patients and infective endocarditis recipients. Studies determined that the association between having bacteria from the mouth enter the bloodstream during a dental procedure could easily occur due to certain factors. The most commonly known is by simply cleaning the teeth which can cause the gums to bleed. Even though this is usually a small amount of blood, it can allow slight amounts of bacteria to enter the blood stream. Studies show that bacteria can travel to the site of a prosthetic device like a hip or knee implant or heart valve and lead to an infection. Because of this, medical professionals set out guidelines for prophylactic antibiotics prior to dental procedures to ensure their safety and lower the risk of complications of these types of patients, and determined that it is better to prevent a potential infection. 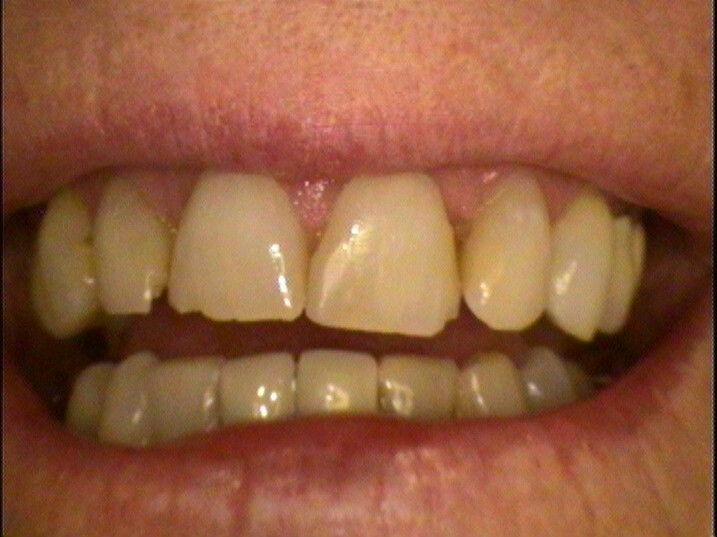 Dentists have been accepting these guidelines for all of these at-risk patients, but as time went on as this issue was continually reviewed for results, the effectiveness for antibiotic prophylaxis has not proven as effective as once thought, and the annual cost of the amoxicillin administered to these patients was exceeding $50 million dollars. The revision came about in 2014 suggesting that prophylaxis may prevent a small number of cases, but antibiotic-associated adverse events were exceeding the benefits of antibiotic therapy. That is when the “guidelines” became an “information statement” for dental patients. Antibiotics are still highly recommended for all dental procedures that involve a disruption of the gingival tissue or perforation of the oral mucosa for these at-risk patients. Patients and practitioners should review the AHA guidelines which can be found at http://circ.ahajournals.org. So, it is still a good idea to talk with your dentist about your health conditions in detail to determine whether you are a likely candidate for this type of prophylactic antibiotics prior to dental procedures. 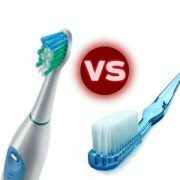 When it comes to using an electric toothbrush or a manual one, which one is better? For some people there is no debate because they have never owned an electric toothbrush. Most children now days start out playing with an electric toothbrush because it’s a fun and entertaining way to brush their teeth. But it is much more than that, don’t you think? Electric toothbrushes are rapidly growing in popularity. It’s not that a manual toothbrush can’t do the job of cleaning teeth sufficiently; it’s actually become part of our culture to have some type of hand-held device that makes electric toothbrushes seem part of the norm. So when you ask a child which toothbrush they prefer, they always go for the electric ones. Kids aren’t the only ones that like electric toothbrushes. 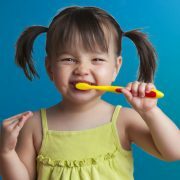 According to the Cochrane Collaborations Oral Health Group, their review of identifying, evaluating, and analyzing the data of electric and manual toothbrushes distinguished characteristics of their clinical trials. Their results indicated that all types of power toothbrushes worked as well as manual toothbrushes in the removal of plaque. However, only the rotating oscillating toothbrush consistently provided a statistically significant benefit over manual toothbrushes by 7 % in reducing plaque and 17 % for reducing gingivitis. Of course there are pros and cons to both types of toothbrushes. One of the first things to be discussed between the two is price. Manual toothbrushes are very inexpensive compared to an electric one. You can toss out a manual toothbrush every 3 months where the cost of a set of heads for an electric toothbrush is more costly. There are all kinds of models that range in price with extra features that some people prefer. But if both toothbrushes can pretty much do the same type of work, then why go to the extra cost? What matters most here is that you brush your teeth every day, twice a day, for at least 2 minutes to keep plaque from forming on the surface of your teeth. But most dentists do prefer that their patients own an electric toothbrush. The biggest advantage here is that electric brushes will do most of the work for you. Dentists believe that this is half the battle won if people will pick up a toothbrush and use it. So if you or one of your family members struggles to brush their teeth, choose an electric brush and just get started brushing. One of the most important things to discuss here is not whether you buy an electric or manual toothbrush. What matters most is that you brush your teeth correctly. The rules haven’t changed about keeping your oral health in check. It is important to brush your teeth adequately to remove the built-up plaque before it goes below the gum line. Always place your toothbrush at a 45-degree angle to the gums. Gently brush your teeth using small circular motions. Be sure to brush the outer surfaces, move to the inner surfaces, and the chewing surfaces of the teeth. For fresh breath, brush your tongue daily. Whether you decide to use an electric or manual toothbrush it is your preference. Always inspect your bristles and replace them when they start to bend away from the normal structure of the toothbrush. If they are too stiff, they can hurt your gums, so choose one with soft bristles. Always remember to brush your teeth as recommended by the American Dental Association, and visit your dentist twice a year. https://www.canyondentalcare.com/wp-content/uploads/2015/05/toothbrushvs1.jpg 300 300 Staff Canyon Dental https://www.canyondentalcare.com/wp-content/uploads/2018/05/Canyon-Dental-New-Logo-trans-3-e1526588705132.png Staff Canyon Dental2015-05-19 14:54:182015-05-19 14:54:18Are Electric Toothbrushes Better Than Manual Brushes? The first thing that people see is your smile. It is the one thing that makes a visual impact on the people that you meet. A brighter smile can give an impression of vitality and good health since we all place high value on our smiles. So why not keep it attractive and more appealing? According to a survey by the American Academy of Cosmetic Dentistry, at least 99.7% of adults believe that their smile is a key asset in their business and social life. It is important to feel confident no matter what type of profession you are in, and that is why more and more people are turning to teeth whitening systems to change the way they feel about themselves. Tooth discoloration can be caused by age, genetics, and foods that we eat like carrots, tea, coffee, and oranges that are high in tannins. The good news is that you dont have to wait any longer with a smile that you are not happy with. 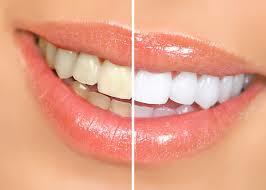 Tooth whitening is a great way to achieve more confidence when you smile. The process is simple. Whitening products penetrate into the porous parts of the tooth enamel to lift stains and leave your teeth whiter. In-office methods are considered to be the most effective way of treatment. Whitening products can enhance your smile as they brighten and restore your teeth to their natural color, giving you a younger more vibrant look. Its a simple process and the results are something to smile about. With digital E4D technology, you no longer have to play the waiting game. One-day crown technology has revolutionized the way dentists take care of patients who need to replace a damaged tooth with a crown. With computer aided design technology, every patient has their freedom back since there is no second visits or waiting for weeks to get their crown from the lab. This exciting new technology is simple and less hassle for dental patients. Your dentist uses a wand to scan the tooth with a computer camera, designs the tooth to the exact size and shape, and then is milled with a high-grade ceramic material all within a 90 minute visit. 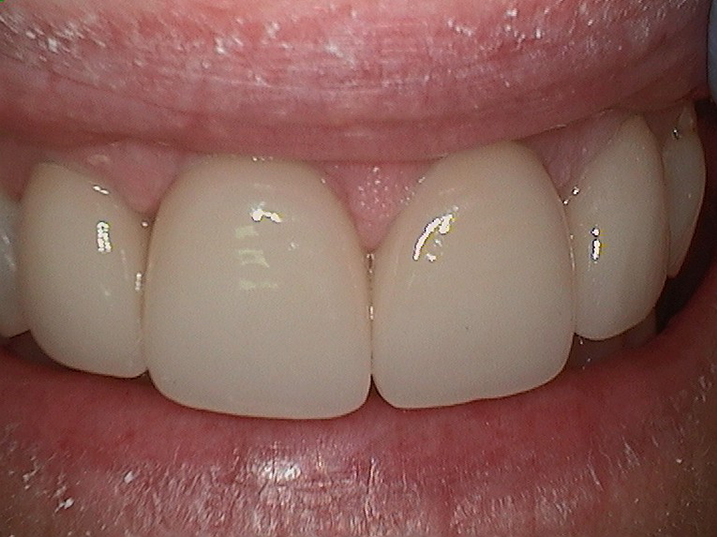 These crowns produce a very high quality, very durable aesthetic tooth. Our approach to providing this fast and convenient E4D technology streamlines the process for our patients and gives them the immediate attention they need. We strive to make your visit to the dentist convenient, start to finish. 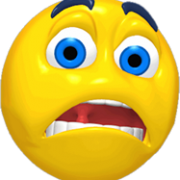 All too often, people will only visit their dentist if they are in pain. If you are experiencing severe pain with your teeth, you could have a fractured tooth or an infected nerve that needs immediate attention from your dentist. The most common symptoms can be consistent pain and throbbing that can wake you up at night. It will be sensitive to hot and cold, and sometimes to the pressure from eating or biting down due to inflammation. 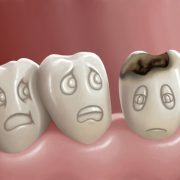 If the tooth has become abscessed, you must get immediate care to prevent further infection and loss of the tooth. 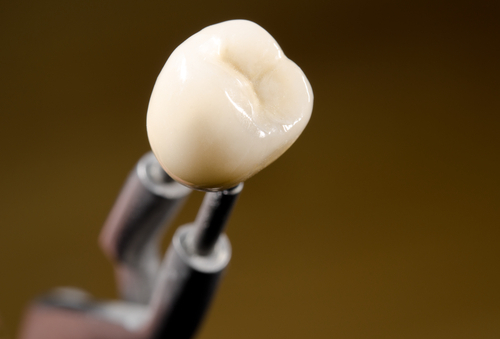 Having a root canal is the process of cleaning out the pulp chamber of the tooth. Your dentist will remove the blood and nerve supply of the infected tooth to relieve you of your pain. This procedure is extremely beneficial for the long term health of your mouth. 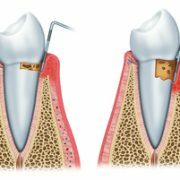 A root canal is a simple treatment that can save your natural teeth. Over 14 million procedures are performed each year. If you are experiencing symptoms, visit your dentist to determine if this is the right treatment for you.